Ski France’s real-time search engine provides you with information on all the apartments and chalets currently available at the ski resorts and ski areas of your choice. Enter your preferred ski area, resort or accommodation name, as well as the date which you’d like to begin your ski holiday and be presented with a huge selection of options in both the Northern and Southern Alps and the Pyrenees. Browse for holidays and accommodation in locations like 3 Vallées, Chamrousse, Deux Alpes, Paradiski, Les Orres, Serre Chevalier, Les Angles and Saint-Lary and begin the booking process to guarantee a stay at your preferred resort, for a great price. Once you’ve booked your ski holiday you can also expect to receive detailed travel documentation by e-mail which will include a map, travel advice, all the necessary contact details, an emergency number and other useful information about your ski holiday. As well as being able to book your ski holiday in a fantastic resort in France, you can also purchase your ski pass for your stay, through Ski France. For each ski pass purchased through Ski France, you will receive a 10 - 40 euro discount on the price of your stay, on top of your already low-cost holiday. Ski passes can be cancelled or modified free of charge at any time prior to arrival and the payment of the ski passes will be made with the final payment with no deposit required. Les Trois Vallées is located the heart of the French Alps and has rightly earned its name as the largest integrated skiing area in the world with 321 marked ski-slopes that offer a total of 600 kilometres of pure skiing enjoyment. Ski France offer accommodation and holidays in a magnitude of ski resorts in Les Trois Vallées including Brides Les Bains, Courchevel 1300, Courchevel 1550, Courchevel 1650, Courchevel 1850, La Tania, Les Menuires, Méribel, Méribel-Mottaret, Orelle, Saint Martin de Belleville and Val Thorens. All these resorts have slopes for all levels of skiers including professionals and amateurs, they also boast picturesque scenery of the surrounding mountains as well as cosy and comfortable accommodation that’ll make time off the slopes just as enjoyable as time spent on the slopes. How can I contact Ski France? You can contact Ski France from the UK on 0049-921-785187-10 or by email at info@ski-france.com. Is a deposit required when I book my ski holiday? Yes. A deposit amounting to 25% of the total rent must be paid within 4 days of receiving your travel confirmation. The full balance is due a minimum of 30 days before the start of your holiday. Yes. You can cancel your holiday with Ski France up to the day of arrival. Please note however that all cancellations incur a charge. You can find more information about the charges here. 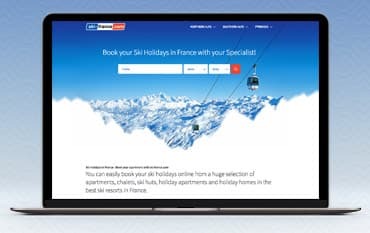 Ski France allows you to easily book your ski holidays online with a huge selection of apartments, chalets, ski huts, holiday apartments and holiday homes available, in the best ski resorts in France. Book your ski holiday online with a Ski France discount code from us and enjoy huge savings on your booking. You can also easily book your ski pass, and enjoy great discounts on the Ski France website too. We are constantly on the hunt for Voucher Codes for Ski France to help you with your money saving. Our experts check dozens of sites for secret codes including NHS discounts, student sites & social media channels saving you time & money!